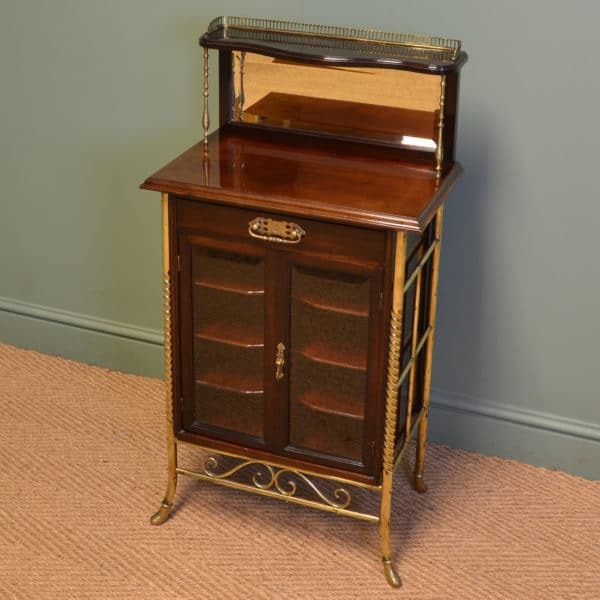 The antique music cabinet was originally made to store sheet music when home entertainment involved playing music using instruments such as the violin or piano. 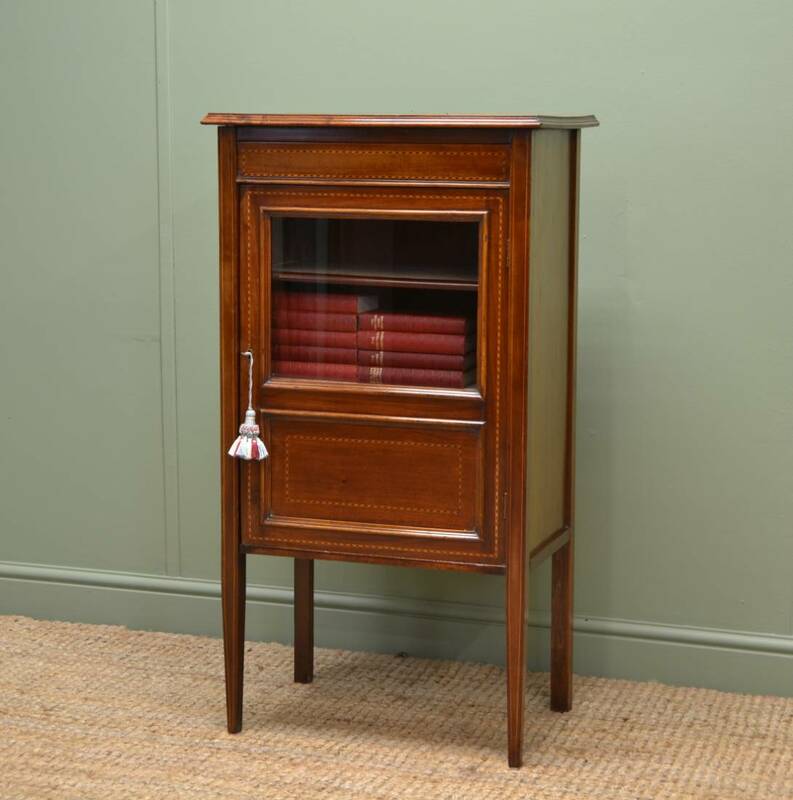 antique music cabinets are lovely pieces of antique furniture and can be the ideal practical storage for paperwork, papers or magazines. 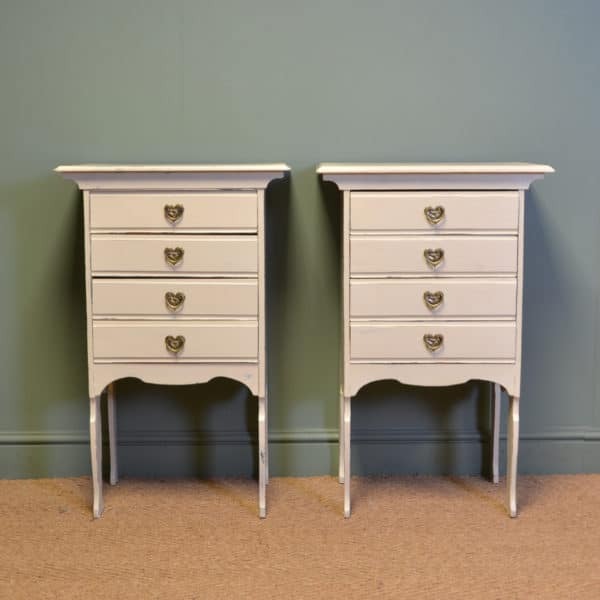 Quite often they will be in the design of a chest of drawers but the drawer fronts will be hinged, so they pull out and fall forward, giving you easy access to your paperwork. 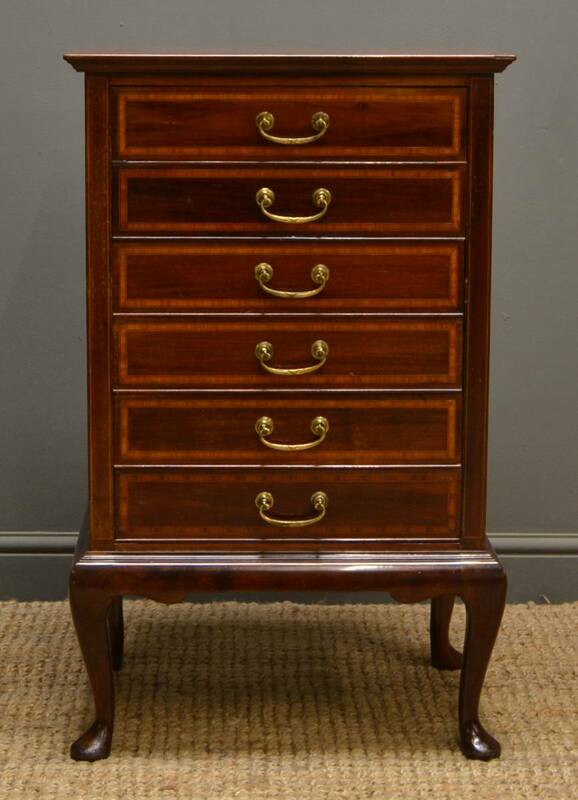 They were mainly built in the Victorian and Edwardian periods in Mahogany and Walnut or in rare occasions in Rosewood. 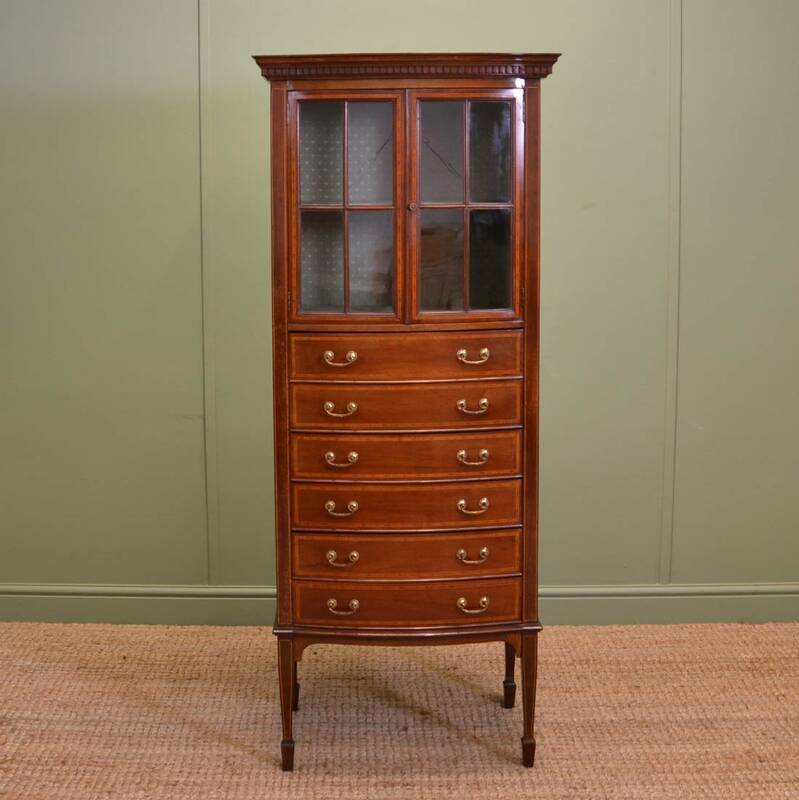 Here at Antiques world we do get very beautiful examples for sale and you can see our current selection available here on our cupboards and cabinets page. Below is a selection of previous examples and if any particular design looks of interest please let us know so we can try to find you something similar. 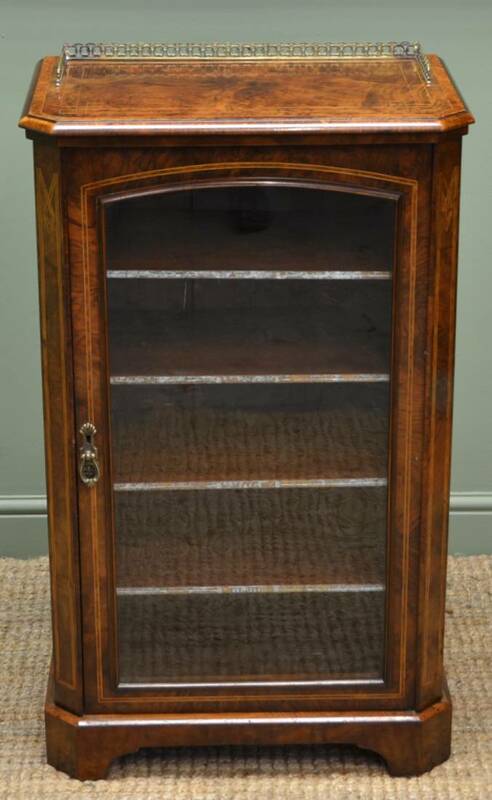 This Unusual Edwardian Bow Fronted Inlaid Mahogany Antique Music / Display Cabinet circa, 1900 has a beautifully figured bow fronted top with decorative dental moulded edge. It has two astragal glazed doors with the original small brass handle. The interior has one fixed shelf with a lovely green fabric lining. 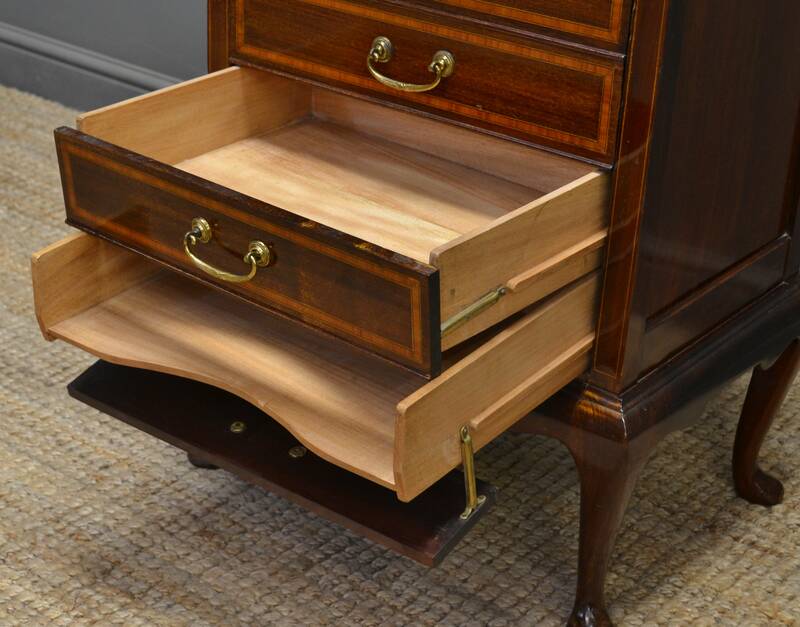 The lower section has six graduating mahogany lined drawers with unusual drop fronts and these were used originally for storing sheets of music. 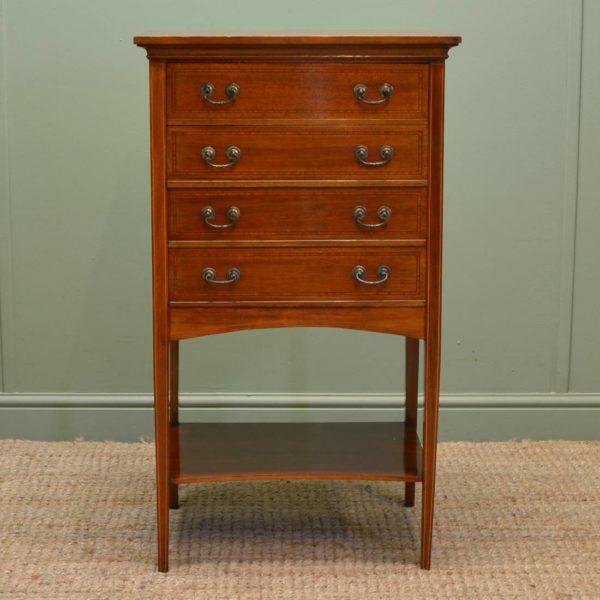 All the drawers have the original brass handles and all the edges are cross banded with a striking kingwood and boxwood string inlay. 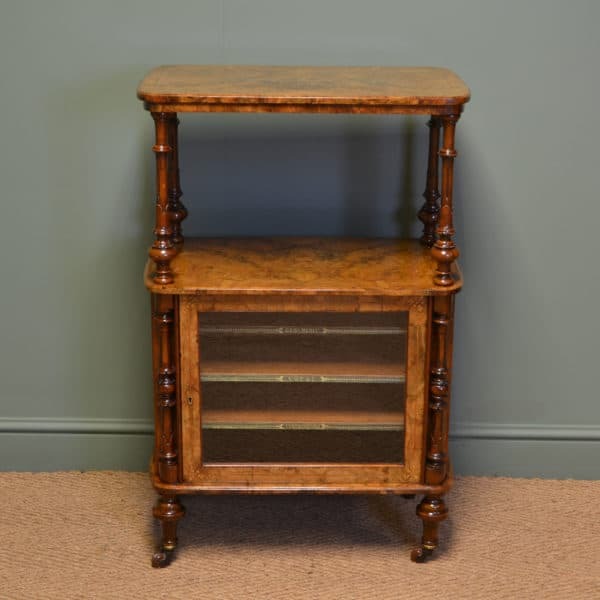 This delightful antique stands on four tapering legs with spade feet. 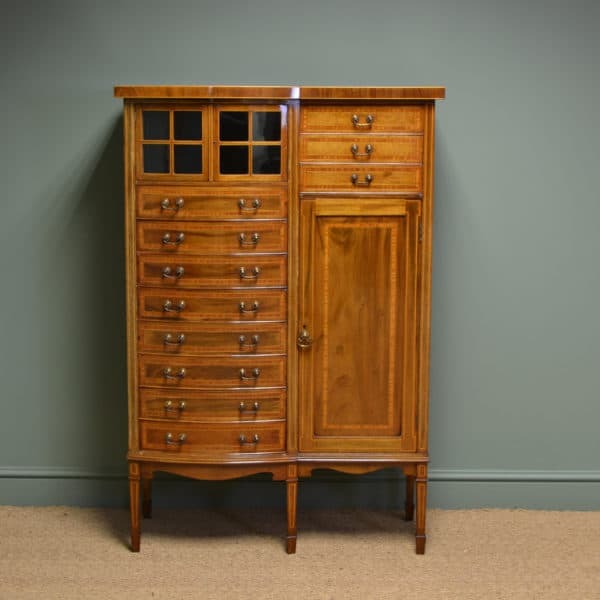 Dating from around 1900 in the Edwardian period this Quality Antique Bow Fronted Music Cabinet has a wonderful bow fronted top above five drawers with unusual drop fronts and these were used originally for storing sheets of music. 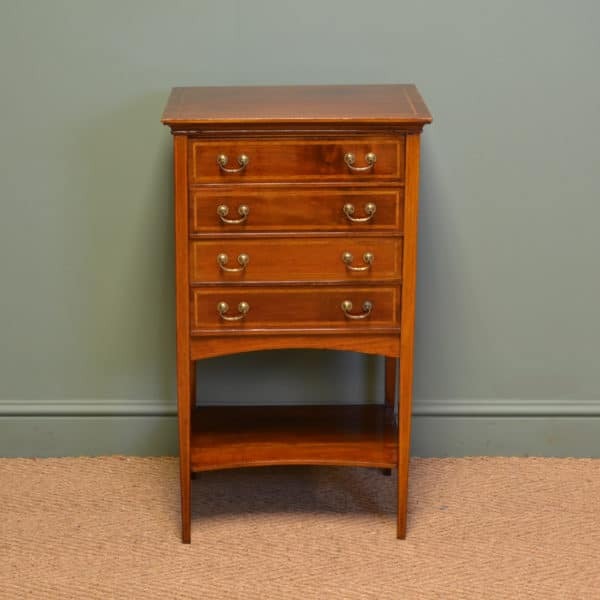 All the drawers have the original decorative brass swan neck handles and it stands on four beautiful splayed legs with a moulded X framed cross stretcher. 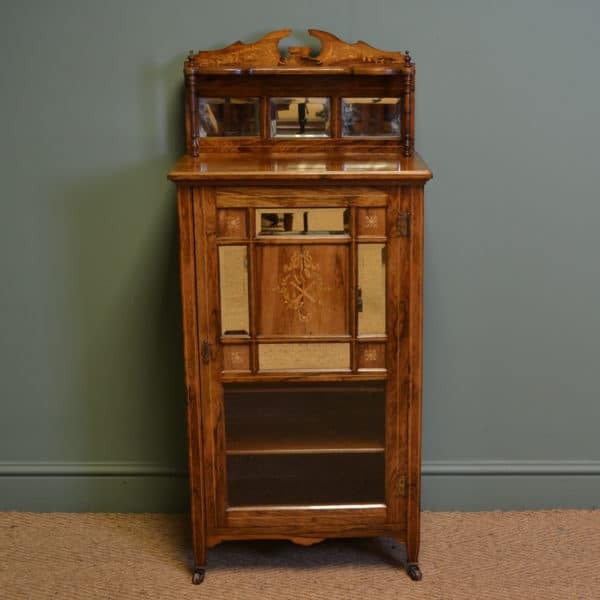 This Beautifully Figured Antique Walnut Victorian Music / Display Cabinet circa, 1880 has a moulded top that is beautifully figured with a cross banded edge, boxwood string inlay and a pierced brass gallery for that added finish. 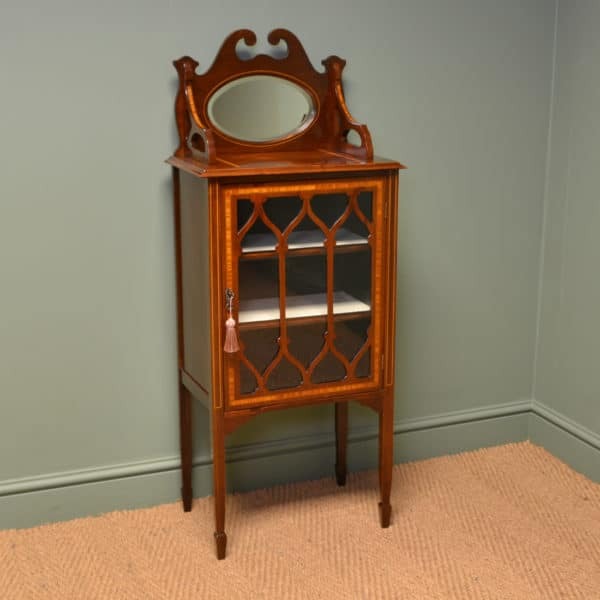 The corners on this striking piece are canted with decorative inlaid banding and a central glazed door with brass handle. 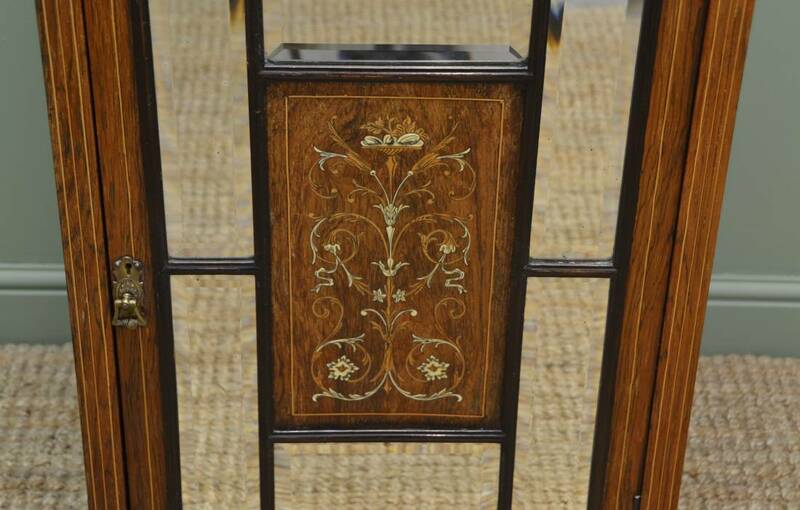 Even the sides on this lovely piece are beautifully figured showing how much detail has gone into crafting such a wonderful piece. The interior comprises of four fixed shelves and stands elegantly on shaped bracket feet. 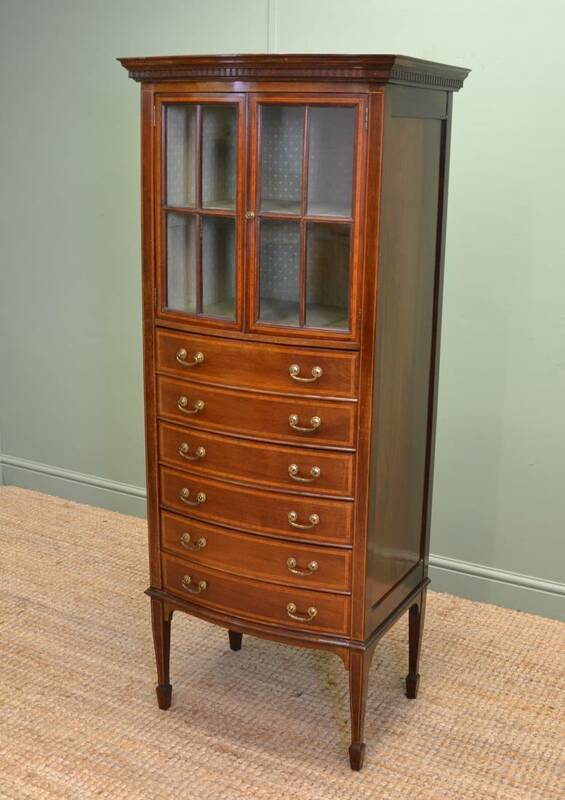 This rather delightful quality antique Edwardian music cabinet dates from around 1900 and is constructed from mahogany. 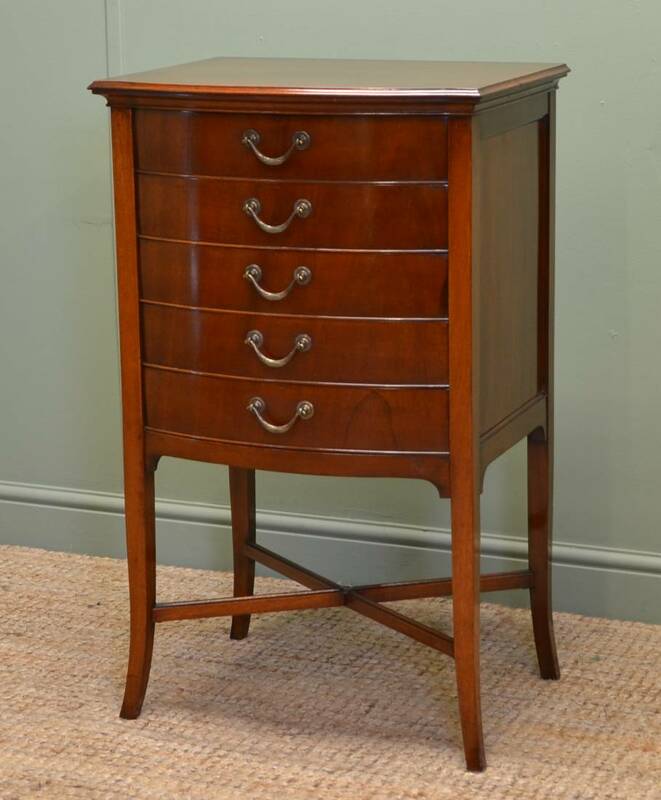 It has a rectangular moulded top above six drawers with beautiful satinwood cross banding with boxwood and ebony string inlay along with brass handles. 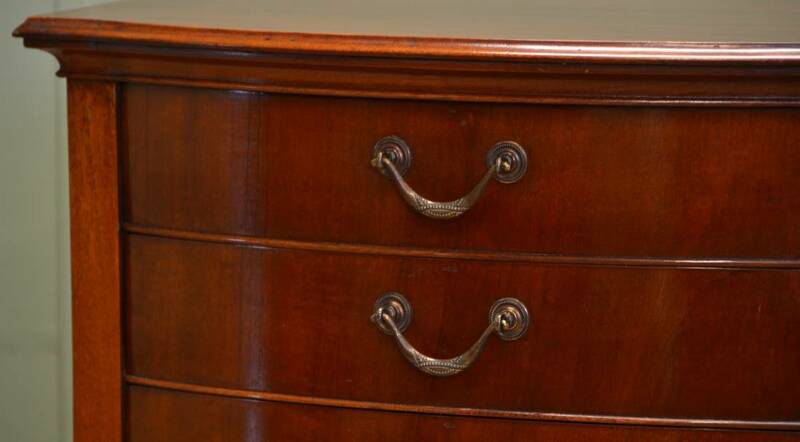 The drawers were originally designed to store music scores. They open and have hinged fronts, ideal today for storing documents or even magazines! Dating from ca. 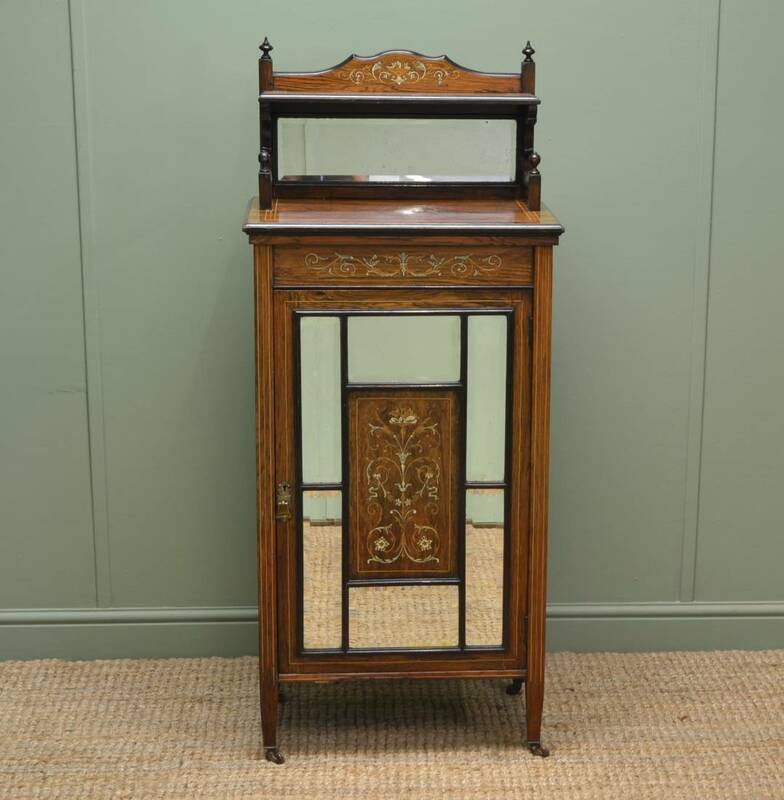 1890 this Beautifully Inlaid antique Victorian Rosewood Cabinet / Music Cabinet has a raised moulded back with the original bevelled mirror and turned gallery sides. 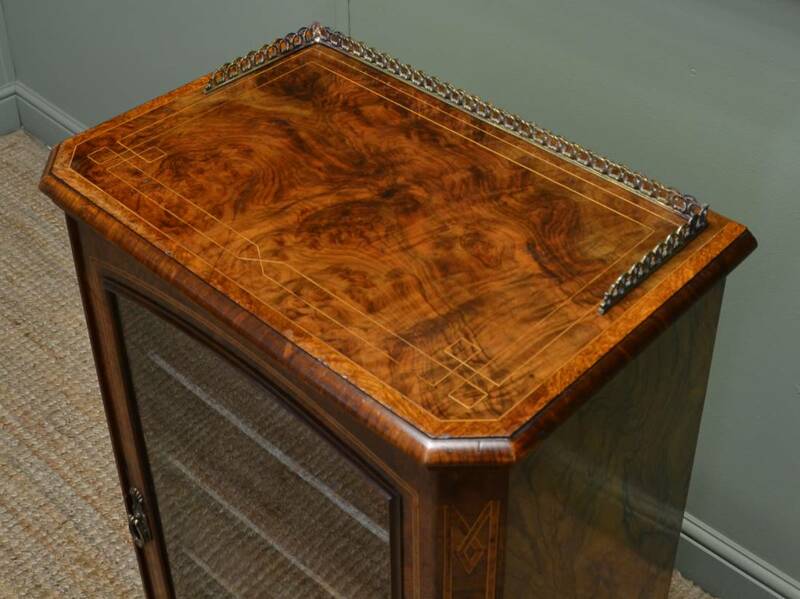 The top is beautifully figured with boxwood string inlay detailing and a moulded edge. 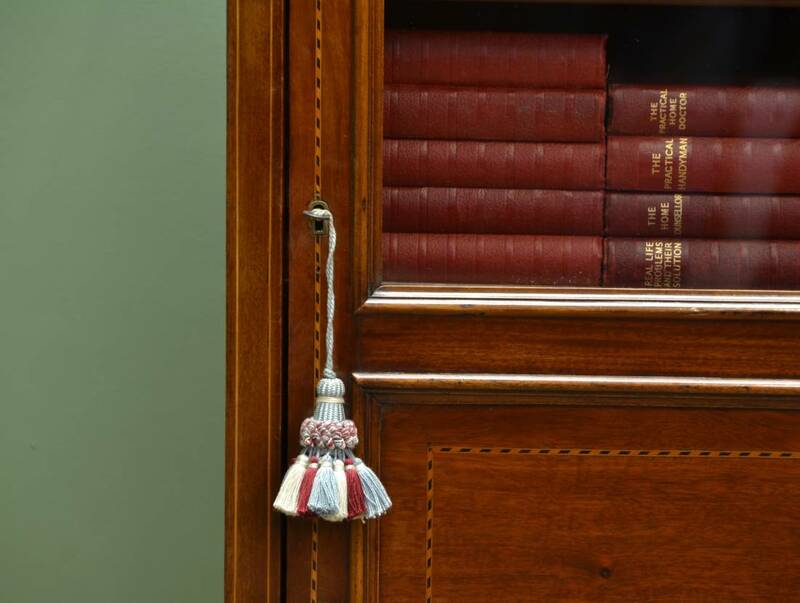 This sits above a central door with the original bevelled mirrors, key with working lock and the interior has three fixed shelves. 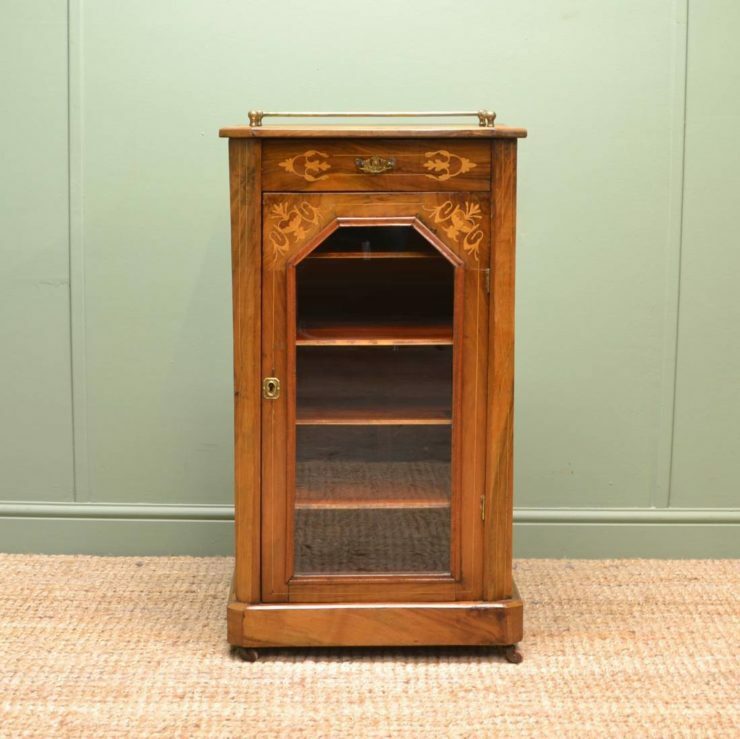 The cabinet stands on four tapering legs with castors and has the most amazing decorative inlays, that could have only been achieved by a true Victorian master craftsman.